Is it just my imagination? Whenever I get a haircut, it takes several days for my hair to adjust. I leave the salon with everything in place, but the next time I wash it, my hair won't behave. It seems to recoil, the ends blunted and awkward somehow. It usually takes a week or so for it to calm down. 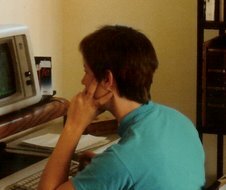 I thought of this weird haircut backlash recently, when browsing "hair energy." The third entry on Google showed up as: "Is there a spiritual importance to hair? / Secret Energy." 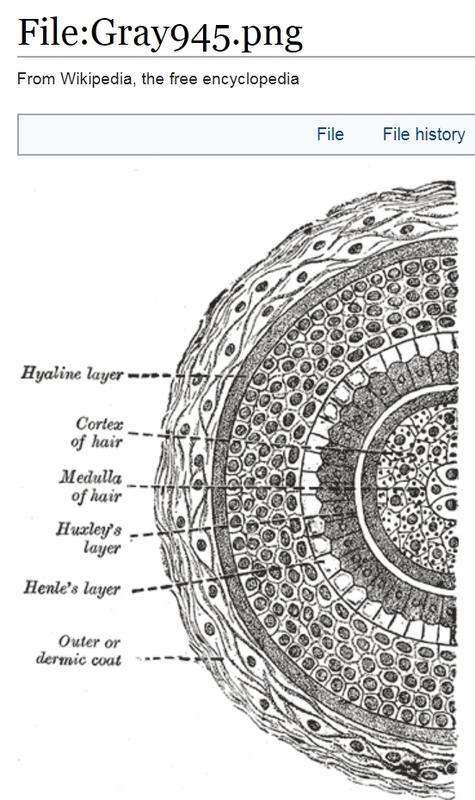 The article leads with: "Hair is certainly an antenna," followed by this graphic image link to a cross-section of a hair (on wikipedia), and the statement that hairs have "tentacles for sensing not only physical objects in proximity but are sensitive to the more subtle fields of etheric energies." Wow. 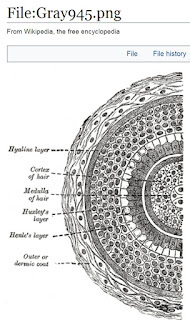 Hairs are the antennas that gather and channel the sun energy or prana to the frontal lobes, the part of the brain you use for meditation and visualization. These antennas act as conduits to bring you greater quantities of subtle, cosmic energy. It takes approximately three years from the last time your hair was cut for new antennas to form at the tips of the hair. Ouch. No wonder I'm so often in a daze. I don't have hair antennas, and haven't since my mid-twenties. Another web site -- The Healing Powers of Hair -- offers an 8-point list of things you can do to maximize hair energy, concluding with 8.) Cutting Hair. "If you absolutely have to cut your hair, do so when the moon is waxing. This will help stimulate your hair to grow back quicker and more luscious. Also, avoid cutting your hair after the sun sets." Originally, I searched "hair energy" because I was thinking about how hair takes a lot of energy--washing it, styling it, periodically going to the salon. Hmm. It would seem my hair will supply me with plenty of energy, if only I let it.